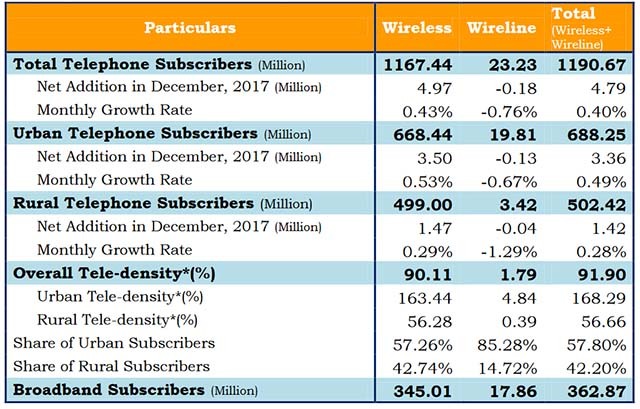 The Telecom Regulatory Authority of India (TRAI) recently released the Telecom Subscription Data highlights report for December 2017. According to the report, the telecom subscriber base in India grew to 1.19 billion by the end of 2017, with Reliance Jio responsible for adding over 8 million new customers in the last month itself. 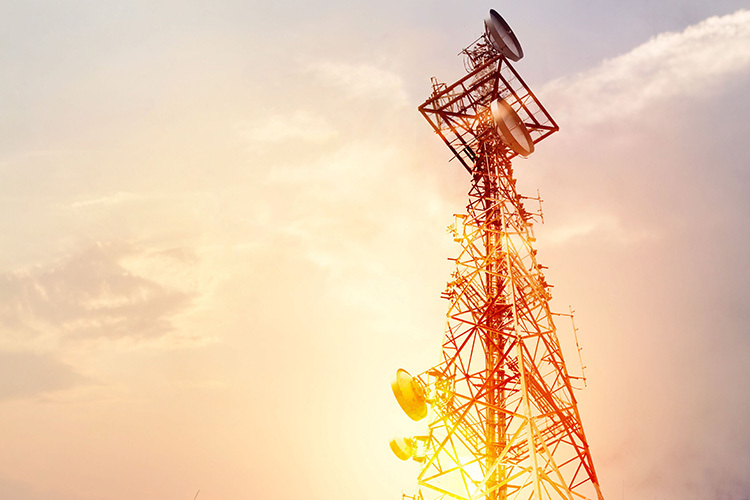 The report further pointed out that the mobile telephony segment led the growth by adding 4.97 million customers divided between five telecom operators – Reliance Jio, Idea Cellular, Vodafone, Bharti Airtel, and BSNL. Jio led the growth, followed by Idea Cellular with 2.43 million new subscribers, while Vodafone added 1.5 million new subscribers in the same time period. Airtel and BSNL added 576,575 and 421,836 subscribers, respectively. Other telecom subscribers in the mobile segment lost a significant number of subscribers. According to the report, Aircel lost over 2.65 million subscribers, Reliance Communications lost 2.3 million, Telenor 1.71 million, Tata Teleservices 1.3 million, and MTNL lost 6,561 mobile subscribers. However, even though Reliance Communication shut down its services recently, it retained 33.16 million subscribers. In the landline segment, the subscriber base declined to 23.23 million at the end of December 2017 from 23.41 million at the end of November 2017. Government-owned BSNL, which is a majority shareholder in the segment with a 53.5% market share, lost 127,842 landline subscribers, while private entities including Tata Teleservices, Vodafone, and Bharti Airtel added 8,294 connections, 7,625 connections, and 5,995 connections, respectively.